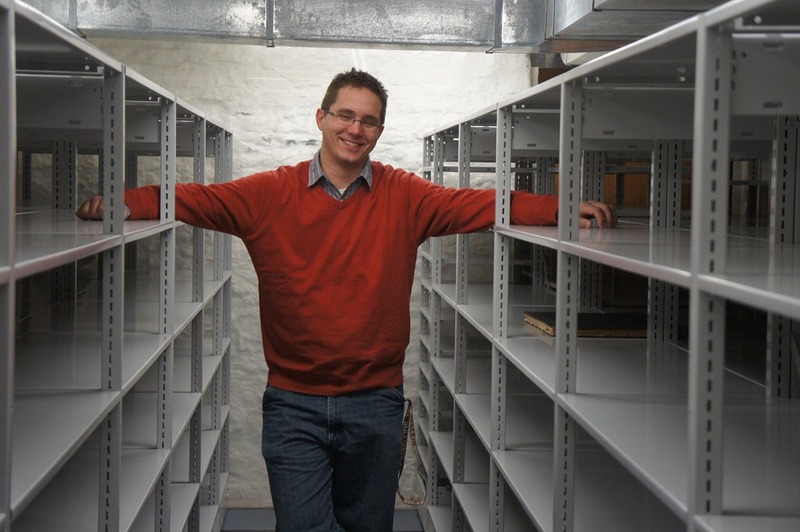 Hayes Scriven, big cheese at the Northfield Historical Society, gave me a tour this morning of the new compact shelving being installed in the archives and collection rooms in the basement of the Scriver Building. 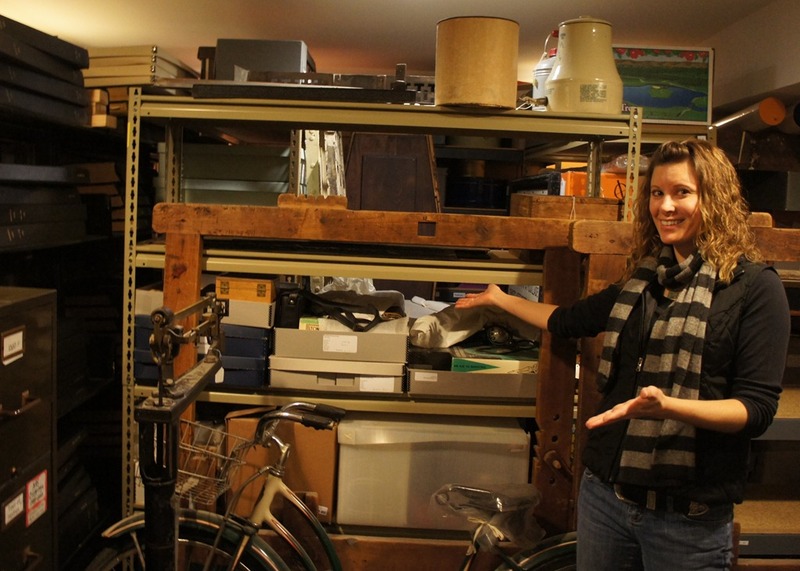 Cathy Osterman, the new NHS curator, showed me the room where she has everything stacked neatly during construction. Normally, new shelving is right up there with new waste paper baskets on my excitement meter. 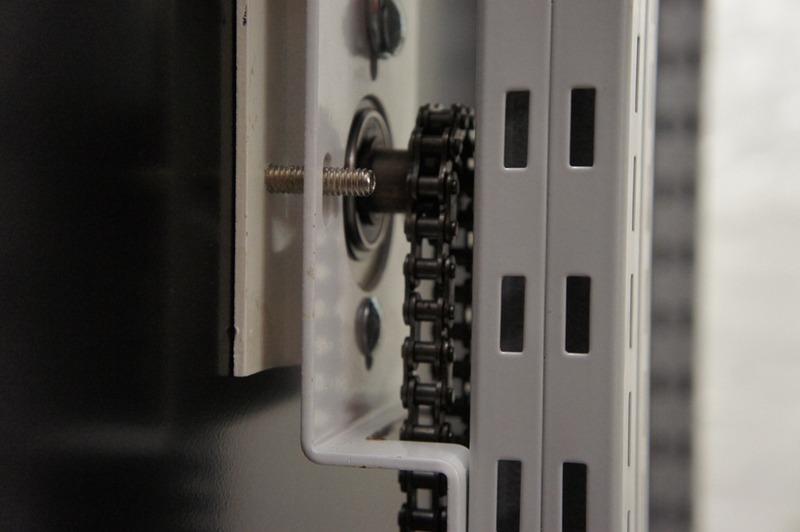 But while these shelves might not rock, they do roll (see the short video clip below) and you can understand why Hayes has been foaming at the mouth about them on the NHS Facebook page (photo albums here). 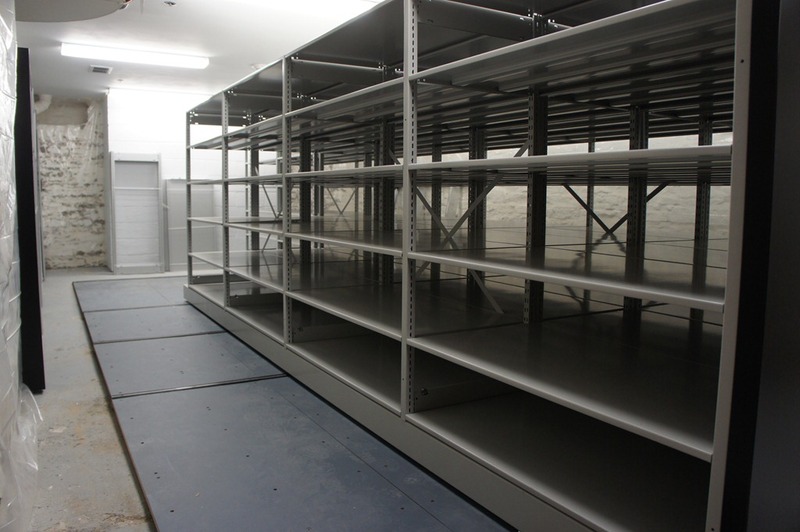 These movable shelving units cost several tens of thousands of dollars. Where did the money come from? The generosity of Minnesota’s taxpayers. See this blog post: Northfield Historical Society awarded $79,000 grant to enhance archives. The Northfield Historical Society is pleased to announce that it has received a $79,000 Legacy [grant] from the Minnesota Historical Society’s Historical and Cultural Heritage Grant Program. 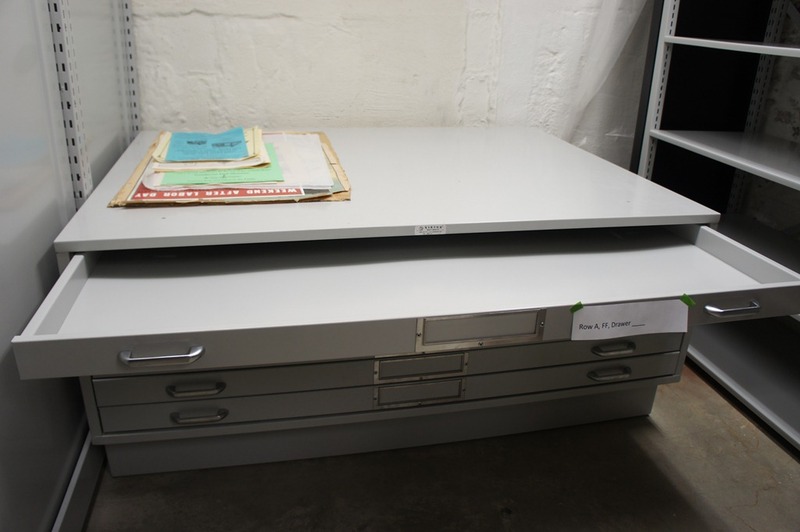 The grant will fund much-needed improvements to the society’s archival/collection facilities, including the installation of movable shelving that will better preserve the more than 15,000 historical artifacts in the society’s collection.